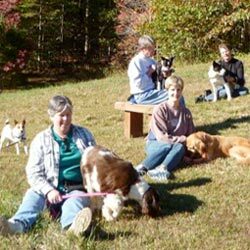 Vacation with your dog to train, laugh, and relax with your dog and fellow dog enthusiasts. Or join us for one of our more urban training weekends. Either way, you’ll come home with lifelong memories—and a better behaved dog. All dog training begins with your dog paying rapt attention to you. 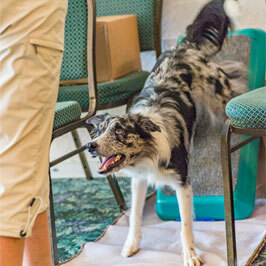 By the end of a Fab Focus weekend, you’ll be the center of your dog’s universe. Start training better than ever! Whether you’re a seasoned pro in need of inspiration or brand new to clicker training, this workshop is for you. You’ll learn a variety of tips, techniques and strategies for creating fabulous focus between you and your dog. Download our Fab Focus Registration Form and please note the workshop cancellation policy: Your workshop tuition is 75% refundable if you cancel 120 days or more prior to the workshop start date; 50% refundable if you cancel 60 days prior to workshop start date; 25% if you cancel 30+ days prior; non-refundable if you cancel less than 30 days out. 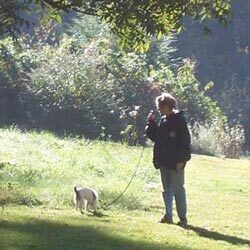 Do you dream of your dog running to you whenever you call? Even better, the very first time you call? It’s possible, and we’ll show you how. This work­shop is designed to intro­duce a proven, step-by-step approach to teach­ing a solid, reli­able, Rocket Recall (also known as the call to “Come”). Does your dog have “selec­tive hear­ing” or only comes “when he feels like it”? Imag­ine call­ing “Come” and hav­ing your dog RACE back to you — it CAN be done! Let us show you how. You’ll learn the Cold Nose Col­lege method­ol­ogy for teach­ing and train­ing a reli­able, Rocket Recall using the 12 rules of Rocket Recall which we’ve devel­oped over 10 years work­ing with our own dogs and our client dogs. 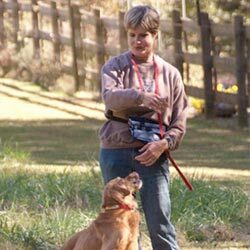 Learn the com­mon mis­con­cep­tions and mis­takes made when train­ing, how to over­come them and how to always set your dog up for suc­cess in the learn­ing process. Watch a video example of a rocket recall. Download our Rocket Recall Registration Form and please note the workshop cancellation policy: Your workshop tuition is 75% refundable if you cancel 120 days or more prior to the workshop start date; 50% refundable if you cancel 60 days prior to workshop start date; 25% if you cancel 30+ days prior; non-refundable if you cancel less than 30 days out. 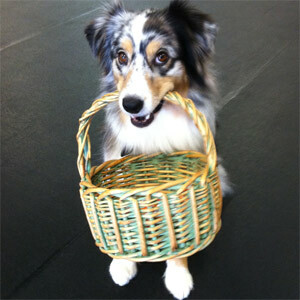 Ready to learn an incredibly fun, effective way to train your dog to do just about anything? You’ll be amazed at what your dog can learn with this technique. Ready to continue enhancing your shaping skills? Shaping is such a fun, effective way to train your dog to do just about anything. Join us for a one day workshop to hone your shaping skills and the skills of your dog too! 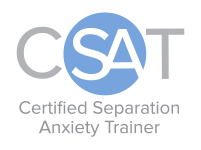 Your workshop tuition is 75% refundable if you cancel 120 days or more prior to workshop start date; 50% refundable if you cancel 60 days prior to workshop start date; 25% if you cancel 30+ days prior; non-refundable if you cancel less than 30 days out. Should I book a working spot or observe?